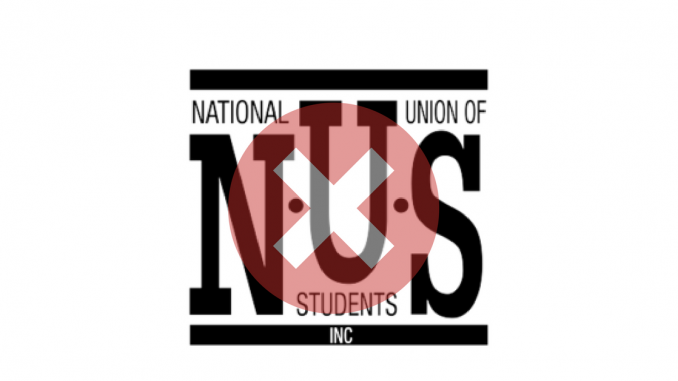 ANUSA will not pay membership fees to the National Union of Students (NUS) in 2017, according to ANUSA President James Connolly, conditional on the approval of the SRC. ANUSA voted to accredit with the NUS (pay fees and have voting membership) for 2017 at the SRC meeting in March, but made that accreditation conditional on NUS meeting certain accountability and transparency conditions set out as Key Performance Indicators (KPIs). Among these was that the National Executive of the NUS must appoint a Returning Officer “who is not a current or former member of any NUS faction”. The Returning Officer is supposed to be an independent arbiter of elections and voting, but in previous years the Executive has appointed a former factional member to the role, raising concerns about their independence. This year, a former member of Labor faction Student Unity has been appointed Returning Officer, according to an email sent to media and ANUSA representatives from Connolly. “As a consequence,” the email reads, “ANUSA’s KPIs attached to accreditation will not be met and ANUSA is not accredited with the NUS.” Student Unity is the student arm of Labor Right, which generally holds the largest voting bloc within the Union. Delegates elected in this year’s ANUSA election will therefore be unable to vote at the National Conference next month. However, they will still attend as non-voting observers, as occurred last year, and report back to the student body on NUS’s National Conference, to inform next year’s vote on accreditation. The decision also confirms that the Union’s ACT State Branch will cease to exist, although the timeline for its dissolution remains unclear. ANUSA’s membership fee was set by the NUS as $5,000, funding which will now remain with ANUSA. However, ANUSA will still pay for registration of our now non-voting attendees, coming to $5,250. Notably, the NUS charges campuses $550 more to send non-voting attendees than voting attendees, so in reality ANUSA is only denying the Union $2,250. While Connolly has confirmed the NUS hasn’t met the KPIs, and initially stated that ANU will not send voting members, the SRC must confirm this verdict. At the final SRC meeting of this year, ANUSA representatives set a deadline of 20 November for the NUS to meet the KPIs. The motion also made clear that “the SRC reserves sole right to determine when the KPIs for NUS reaccreditation have been met.” Connolly told Observer that he had “jumped the gun”, and has subsequently sent an email to SRC members asking them to determine by the end of the week whether the KPIs have been met. However, he believes that this “won’t make any difference”, as it is a “simple question of fact”. Note: Eliza Croft is a member of the Australian Labor Party, but is not involved with any student factions.